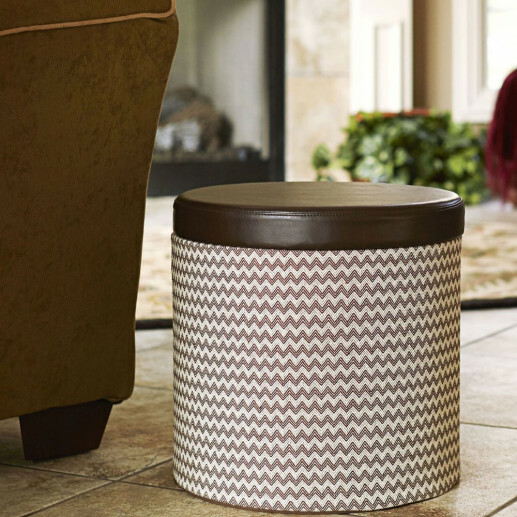 Round storage Ottoman with Padded Seat Provides stylish and functional storage as well as comfortable seating. Round shape offers fashionable style to any contemporary decor. 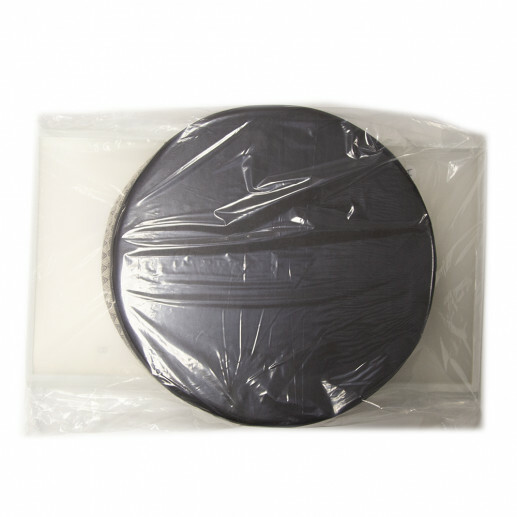 Generously padded lid with faux leather upholstery serves as a seat. Remove the top lid seat to reveal a rather large storage compartment. Spacious interior offers space to store blankets, toys, and supplies. Incredibly soft fabric covering features a brown chevron pattern. 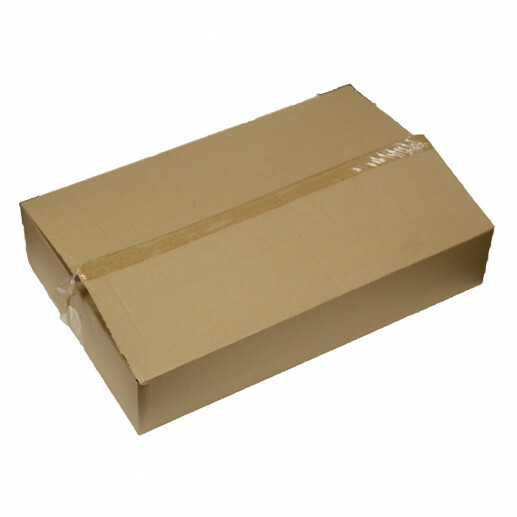 Sturdy, reinforced sides provide additional support and stability. Designed to support 250 pounds for a heavy-duty weight capacity. Collapses down for compact storage when the ottoman's not in use. Makes a wonderful addition to the living room, office, or bedroom.